New Headquarters! To celebrate our move, everyone who orders a full shower/tub replacement will get a free accessory upgrade! Learn more under Offers. I first heard of Home Concepts Custom Remodeling and Luxury Bath Technologies at the home show. At the show they were very helpful in explaining the process of the appointment and what to expect. They offered me a discount, which I accepted. Then Don came out to meet me and my husband helped us pick out the colors that would best work with what we currently had in the bathroom. It was very simple we like the price thought it was the most reasonable one that we have gotten so far. We signed right then and there and within a month our bathroom was transformed. I truly happy with the whole company from start to finish. The installers were very timely, polite, and clean. I strongly recommend this company. Let Us Earn Your Business, Request a Free Consultation Today! 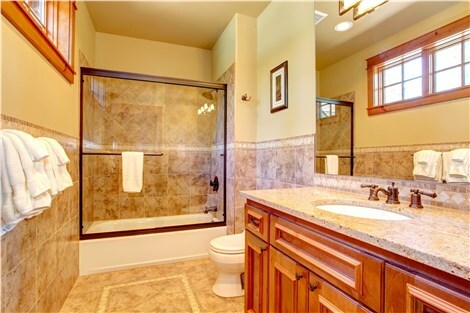 Start your custom bathroom design by signing up for a free consultation now. Our quotes come with a price-match guarantee—and no obligation to you! © 2019 Home Concepts Custom Remodeling. All Rights Reserved. Sweet 16 Sweepstakes - Win $1,500! Enter our monthly sweepstakes to instantly win $1,500 towards your bath remodel project. 16 winners are pulled every month. Many have won and you could be next!